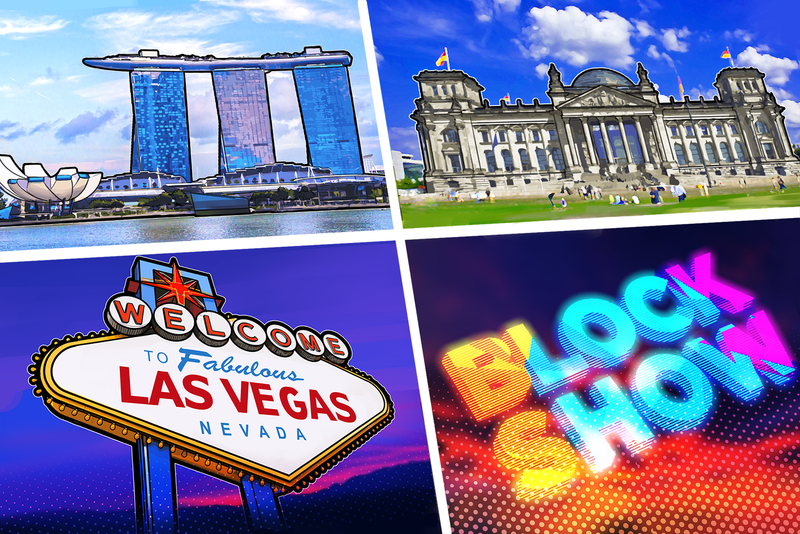 Bringing an international audience of 2,800 people to Singapore, BlockShow Asia 2018 was the pinnacle of a year full of excitement, news coverage and heated debate. With around one hundred speakers, the conference came to a close in high spirits. In the wake of dramatic swings in the cryptocurrency market, which saw Bitcoin’s price tumble to a low of under $3,700, the event, in partnership with Cointelegraph, was steadfast in focusing on how blockchain is maturing into something that affects our everyday lives. With a strong FinTech and political presence, it also introduced the many other worlds where blockchain’s seeds are starting to sprout – art, security, advertising, gaming, music, infrastructure, and more. As the third and largest event of an unpredictable year, the huge success of this BlockShow has reinforced the importance of the global movement that has brought blockchain to prominence. It also saw the first ever example of conference tickets purchased through smart contract, a landmark in adoption. “I saw it worked out cheaper to purchase. I could do it easily through Metamask, and I like the idea a lot because it provides some additional features, like privacy, or the ability to transfer to other people. These are things I hadn’t even considered before.” – Matt, a blockchain developer who purchased the very first ticket using Ethereum. With such a diverse, not to mention large, selection of presentations, panels, venues and topics, it’s difficult to distill the BlockShow down to just a few of the most important or interesting points. The presence of a very special guest, Jim Rogers, co-founder of the Quantum Fund and Soros Fund Management, was symbolic for many, as one of the financial world’s most important figures gave his time to recognize the importance of blockchain. Furthermore, BlockShow regular Thomas Lee’s evaluation that “blockchain could reduce costs to the global economy by $4 trillion,” should ring loud and true to those facing uncertainty over the current markets. For the sake of structure, let’s take a look at a few of the highlights of each day, and see what some of the speakers took away from the whole event. On November 27th, Asia Blockchain Week, which BlockShow stood at the heart of, kicked off with Blockchain2Energy Asia at the center of attention, making its Asian debut by hosting a specialized programme focused on the push to create the digital grid. As one of the most promising blockchain applications currently being explored, BlockShow partnered with Blockchain2Energy Asia to help bring more attention to the amazing work they do, bringing people together to create a new model for power across the globe. Catching the attention of ASEAN members, power professionals and blockchain developers alike, it promises to carve a new model for worldwide energy distribution and payment, in a world where energy infrastructure is mostly outdated, often unsafe and largely inaccessible. As a first major step, this event alone has set us on course for huge advancements in the quality of life for many millions of people. Though it followed Blockchain2Energy Asia’s rather revolutionary opening event, the first day of BlockShow’s conference at The Marina Bay Sands Expo and Convention Centre was no less impressive. In blockchain, no one thinks small. With a packed agenda, BlockShow CEO Addy Crezee kicked it all off with a rousing speech, accompanied by Mithril’s Jeffrey Huang, who created Asia’s most popular live streaming app. The rest of the day had a wide focus, bringing questions about artificial intelligence into the mix. Dr. Ben Goertzel implored us to consider how we can “make AI a good thing for society,” while emphasizing that “the whole population needs to have control of AI!”, a direction that his company, SingularityNet, is pushing forward. We also saw strong debate covering the exploration of a new, post-ICO direction for blockchain crowdfunding. With ICOs having recently become riddled with questions about their value to investors, it’s arguable that a new approach is in order to restore the merits of crypto-based investments. Speech from TreeCoin tied well with bringing Singapore’s ecological focus to the forefront, as audiences got to grips with blockchain’s potential to help in transforming our entire ecosystem. The project is supported by the Paraguayan government and led by CEO Jörg Schäfer, otherwise known as ‘Mr. Green’, a veteran investor whose mission for the last two decades has been to demonstrate avenues for sustainable wealth creation. In its mission to create a sustainable natural environment, TreeCoin is creating an ecosystem within which participants will be able to directly invest into their afforestation project by purchasing land for planting trees while using the TreeCoin cryptocurrency, as a cheaper and better alternative for tracking transactions. While uncertainty is still rife when considering Asia’s crypto sentiment, leading experts gathered in a panel to discuss the mark that these restrictions have left on the economy as a whole. Furthermore, a later panel explored the potential for blockchain to ‘bring the Asian Tigers back.’ For economies such as Taiwan, Hong Kong, South Korea and, of course, Singapore, crypto-optimism could pave the way to a new boom in their productivity and wealth. With a panel including Thomas Lee, co-founder of Fundstrat; Sinhae Lee, Founding Partner at GBIC and Block72 International Blockchain Consulting; Jason Fang, Managing Partner at Sora Ventures, Founder & CEO at Sora Foundation; Chia Hock Lai, President of Singapore FinTech Association (SFA), Chairman of Token Economy Association and Zing Yang, who sits on the Board of Directors at the Litecoin Foundation, the debate was fueled by a certainty that, if blockchain is to thrive, it will be these economies that enable it to reach the next level of widespread adoption. Meanwhile, on the Blockshow’s second stage, Motoyuki Odachi, Former Vice Minister of Justice of Japan, Vice President of Finance at Oyraa, Seth Melamed of Quoine and Yabo Cui, Advisor at Deloitte, gave real-world insight into the rapid adoption that’s been taking place in Japan. When it comes to new technologies, Japan is often heralded as the proving ground. Melamed and Cui gave exceptional insight into how interest in blockchain and cryptocurrencies have been propelled well into mainstream society, and how Japan is carving a path for an integrated ‘smart nation’ built on blockchain principles, recently forming the Japan Virtual Currency Exchange Industry Association, made up of 16 licensed Japanese virtual currency exchanges. 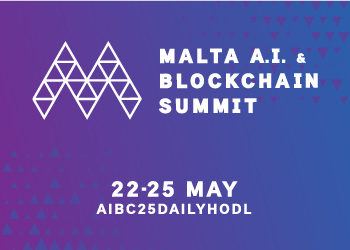 Other developments such as the use of blockchain in the gaming sector, or crypto’s role in transforming capital markets, saw out the rest of the afternoon, drawing a wide array of speakers such as Michael Gu, Founder of Boxmining; Sheree Ip, Board Member at Blockchain Australia; Jason Hsu, Crypto Congressman & Legislator of Taiwan, as well as the Head of Business Development, Asia for Cumberland, Justin Chow. Having wrapped up proceedings, the night concluded with a spectacular afterparty hosted by Mithril. With a view overlooking Marina Bay and featuring the gorgeous Singapore skyline and the Marina Bay Sands hotel sparkling across the water, it was clear everyone was in high spirits after a completely packed first day. With a number of other parties taking place simultaneously, the Singapore nightlife brought its own charm to boost the already hugely positive vibes that coursed through the crowds. With a later start to the second day, the auditorium was abuzz with people who formed new bonds the night prior, ready for another set of talks, panels and demonstrations about how we bring blockchain to maturity. Without drawing too much from the day’s agenda, some notable panel members included Mastura Ishak, Programme Director for Blockchain at the Malaysian Industry-Government Group For High Technology (MIGHT), who implored the audience to reach out by stating, “I can say that blockchain has a lot of potential in Malaysia”; Aunchisa Tapanakornvut, Senior Officer, FinTech Department at Securities and Exchange Commission of Thailand; Le Ngoc Guang, Ministry of Justice of Vietnam and Josephine Romero – the Philippines’ Presidential Advisor for Entrepreneurship and Advisor to the Chair of ASEAN-BAC. Having representation from political groups has always been a central concern of BlockShow. As governments grow more interested, for one reason or another, in blockchain technology, it is the part of the people to ensure it remains open and is not used as a tool of manipulation or oppression. This well-attended panel showed that there is a lot to do before governments will begin to reap the benefits of the technology but the movement is beginning to become more well-rooted and practical applications are being explored at every level, though this is true in some countries more than others. As an overview, representatives from across Asia each showed that governments can play a supportive role, with Taiwanese legislator Jason Hsu stating, “We wanted to make sure that our population can easily use bitcoin in their everyday life – to buy regular products, oil and so on. We wanted to make it a lifestyle.” From India came a similar statement, “We have to use blockchain in our modern life, especially in factories and logistics.” Romero followed up to voice the Philippine’s current outlook, “Agriculture has to use blockchain, while the second sector is tourism, and the third is finance.” It is clear that governments can act both harmoniously and maliciously in their use of blockchain, with Bobby Lee pointing out that “governments worldwide will do more and more to suppress Bitcoin.” But, in Asia, it seems that the politics are leaning in favor of putting it to good use. To quickly give a rundown of some notable speakers on this final day of BlockShow’s own event, Henri Arslanian of PwC; Haris Jafar of Ernst & Young; Mark Smedley, Vice President, Global Financial Services Industry Solutions at Oracle were just a few panel members in an incredibly revealing overview of the mass corporate move into blockchain adoption. In discussing the state of over-the-counter crypto trading, audiences were treated to both Jasper Lee, Head of eToro Asia and Luke Wagman, Chief Evangelist of CoinMarketCap, engaging with Justin Chow and others in a well-informed, eye-opening examination of just what’s going on across the trading world. While the BlockShow Oscars used to stand out as one of BlockShow’s biggest attractions, this year saw the launch of a new unique segment, EXP20. Streamed live from the conference, it saw 16 startups bring their blockchain-based businesses in front of a panel of venture capitalists, including JRR Crypto, Sora Ventures, BCI Fund, Blockchain I, Lune X Ventures, Trive, DYOR Capital, Plutus VC, Zenith Ventures, ZEOS Capital, Blockchain Founders Fund, HUOBI Lab, Fenbushi Capital. The aim was simple – pitch your business idea in five minutes, and hope it stands the scrutiny of some of the sector’s leading experts. Winning meant the support, connections and financial backing to bring the business to a global stage, but losing left the teams with nothing. Unlike the BlockShow Oscars, this model gave each startup the chance to win, regardless of how the others fared. Ultimately, it was HealthDex, an enterprise health data marketplace, and Diro, a platform to verify and share documents, which walked away with the financial backing and expertise from Blockchain Founders Fund, bringing them support that will no doubt soon propel them into the top tier of blockchain startups alongside the likes of Monero, IOTA, Dash and NEO. On Friday, Singapore University of Social Sciences (SUSS) and Singapore Academy of Law unwrapped crypto regulation and examined the steps that are yet to be taken to give blockchain the legal backing necessary to make it the economic driving force it promises to be. This included a look at regulation from an ICO standpoint as well as smart contracts and overall convergence of technology. Finally, our partners LongHash hosted a hands-on day of networking that opened Singapore’s most progressive blockchain hubs for all to see. Beneath the surface, it gives you the sense of being in an academic computer lab during the mid-20th century. There is an endless amount of research going on, all applied to different areas and each entirely focused on making the work a reality. Singapore clearly stands at the forefront of blockchain innovation, and we’re sure all of our attendees will be returning home with a new outlook. The world needs blockchain more than it realizes, and without technological havens such as Singapore, we may never see the culmination of just what amazing things are possible. It’s incredibly sad to see everyone leave after living in the glow of one of the most fantastic conferences we’ve had the pleasure of attending – and that’s conferences, period, not just those discussing blockchain. BlockShow will, of course, be returning in 2019, and we’ve no doubt the landscape will look radically different once again. Until then, keep an eye out for announcements and keep working on building a better world with blockchain. The Daily Hodl is a media partner of BlockShow Asia 2018.